The £250 million Brighton Marina Development has reached its completion. The development includes two pedestrian and cycle bridges across Black Rock beach and the creation of a new outdoor recreation and amenities area. The new development consists of 853 new homes in 11 towers ranging from 6 to 40 storeys high. In order to achieve the visually stunning aesthetics, the towers required glass and screen printed balconies. 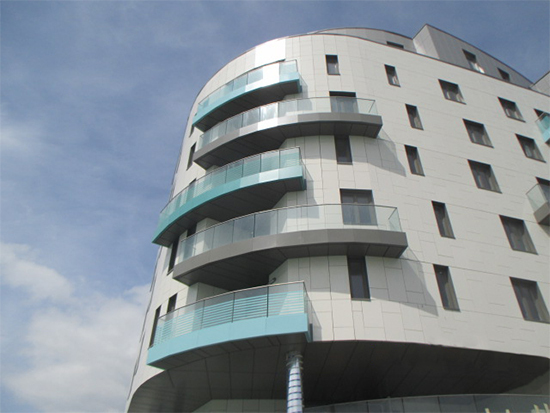 The project was awarded to Kite Glass by J Reddington Ltd and UK Facades. 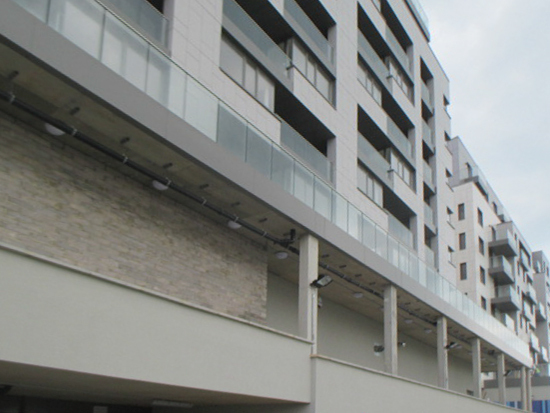 After reviewing the structural specification and location, Kite Glass recommended the use of LamitecSuperTM glass for all balcony areas. It took 555sqm of clear glass along with the screen printed LamitecSuperTM glass with mint turquoise bands across 860sqm to install the iconic and eye catching banded balconies. Processes applied to the glass included laminating and screen printing.